What is Meant by Branch Accounts? The practice of keeping separate bank accounts for each branch of a company even though the branches together with the home office form a single, legal entity. Because branches are responsible for earning money for the company as a whole, the home office may take funds from the branch accounts and put them in its own account. Likewise, it may credit funds to a branch if the branch is having cash flow problems. 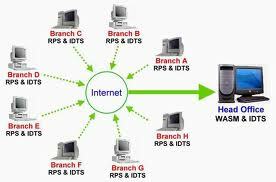 Foreign branches are independent branches which are operating in foreign countries. Accounting in respect of foreign branches is done in the books of the branch as well as in the books of the Head Office. As the foreign branch is an independent branch, it keeps a complete set of books on the double entry system, prepares all the necessary accounts including the account of the Head Office, prepares its own trial balance, Trading and Profit and Loss Account and Balance Sheet. In short, the accounting procedure adopted at a foreign branch is exactly the same as that adopted at an independent domestic branch. The trial balance received by the Head Office from the foreign branch is in foreign currency. Therefore, before incorporating the items in the trial balance of the foreign branch, the Head Office is required to convert the various items in the trial balance into the currency of the Head Office. Thereafter, it has to incorporate the items in the Converted Branch Trial Balance in its books, prepare the Branch Trading and Profit and Loss account and Balance Sheet and Branch Account. 1. If the rate of exchange is not subject to wide and frequent fluctuations, all the items in the trial balance (other than remittances and Head Office Account) can be converted at a fixed rate of exchange. a. Opening stock should be converted at the opening rate of exchange (i.e, the rate of exchange prevailing at the beginning of the accounting year). b. Closing stock should be converted at the closing rate of exchange (i.e., the rate of exchange prevailing on the last day of the accounting year). Depreciation on fixed assets should be converted at the same rate at which the converted fixed asset is converted. d. Fixed assets should be taken at the same figure at which they (i.e., branch fixed asset) appear in the books of Head Office. If that figure is not given, the fixed assets should be converted at the rate of exchange prevailing on the date on which the fixed assets were acquired. If that rate is not given, then, the fixed assets should be converted at the opening rate of exchange. If additions to fixed assets are made on various dates, average date of exchange for the period should be adopted. e. Fixed liabilities should be converted at the rate of exchange prevailing on the date on which they were contracted. If that rate is not given, then, they should be converted at the opening rate of exchange. f. All current assets and current liabilities should be converted at the closing rate of exchange. g. Remittances appearing in the branch trial balance are converted at the actual rates at which they were effected. If they are not given, they should be converted, i.e., taken, at the samme figure at which they appear in the Head Office books. j. Goods received from Head Office should be converted, i.e., taken, at the same figure at which goods sent to branch appear in the head office books. If that figure is not given, then, the goods received from Head Office should be converted at the average rate of exchange, as it is a revenue item. However, it should be noted that the converted Trial Balance, generally, does not tally. This is because the different items in the branch trial balance are converted at different rates. The difference in tial balance is taken as Difference in Exchange and is entered in the Profit and Loss Account, either on the debit side or on the credit side.depending upon its nature, if the difference is small. On the other hand, if the difference is fairly large, it is taken as Exchange Fluctuations Account or Exchange Suspense Account and is shown in the Balance Sheet either as an asset or as a liability, depending upon the nature, and is carried forward to be set off against future differences. After having converted the Branch Trial Balance into head office currency, the Head Office will incorporate the items in the branch trial balance in its books and prepare the Branch Trading and Profit and Loss Account and Balance Sheet and the Combined Trading and Profit and Loss Account and the Balance Sheet, as required.